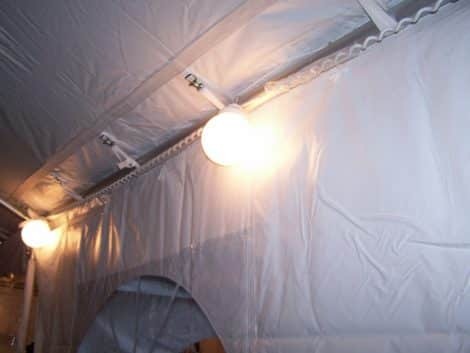 These globe style canopy lights attach to the perimeter of nearly any canopy or tent via a hook on the end of each light. 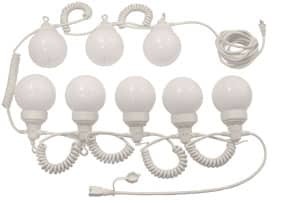 These lights use 40 watt bulbs. SKU: PKE02. Categories: Party & Event, Miscellaneous Party, Lighting and Special Effects, Tables, Chairs, & Tents, Tents/Canopys. Tags: canopy lighting, globe lights, tent lighting.